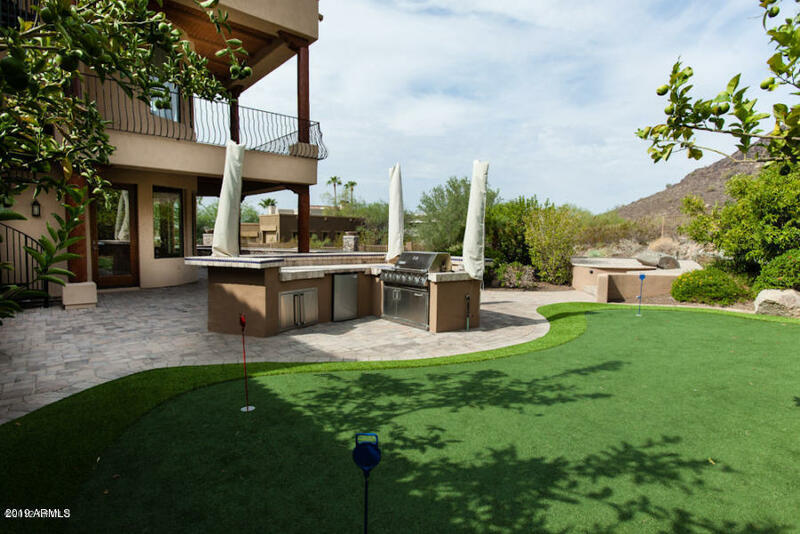 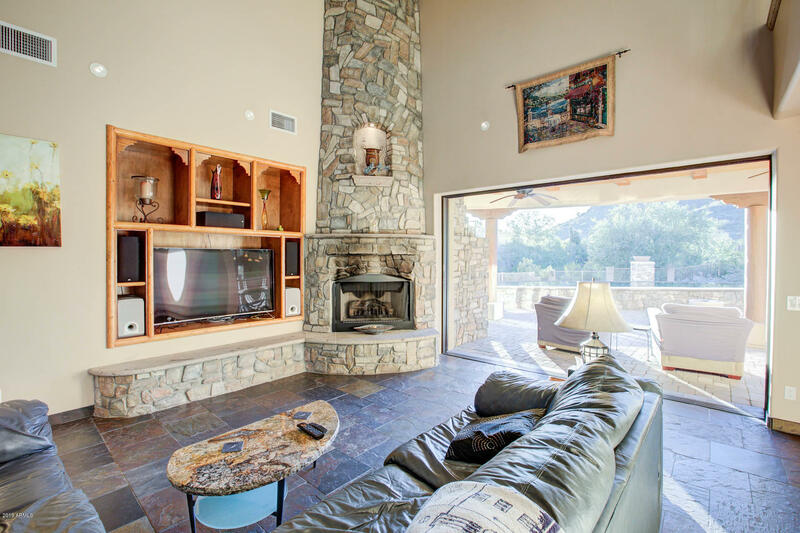 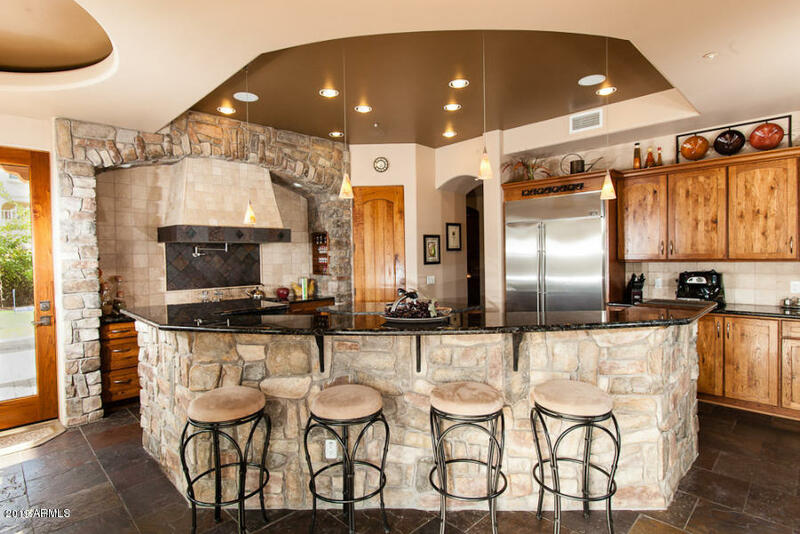 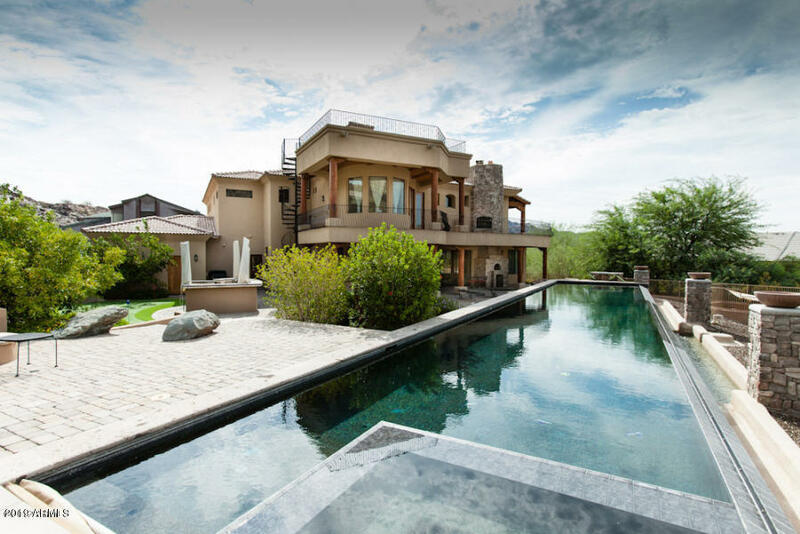 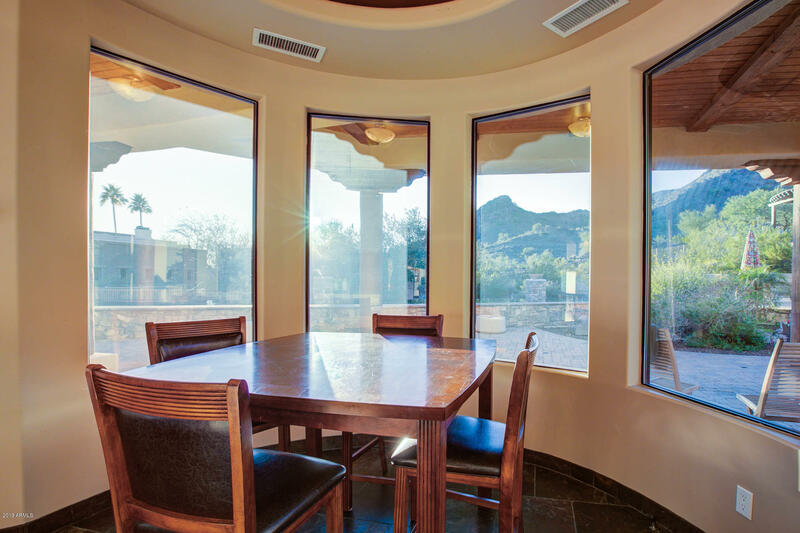 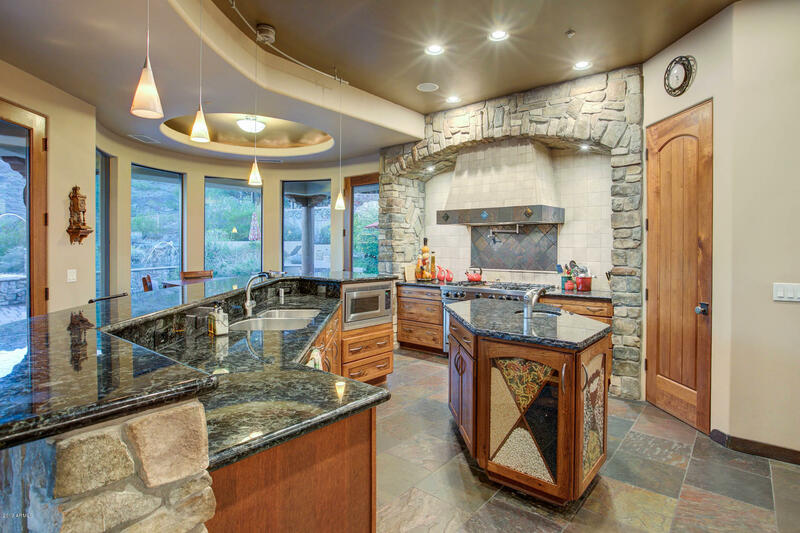 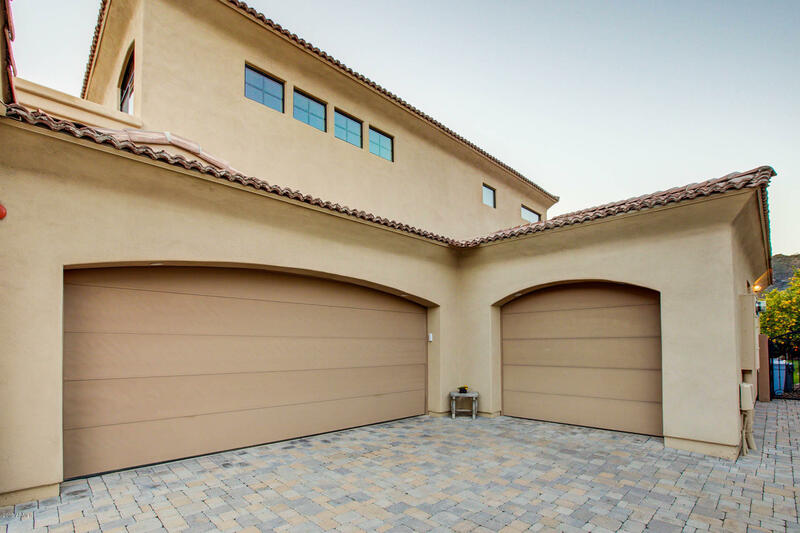 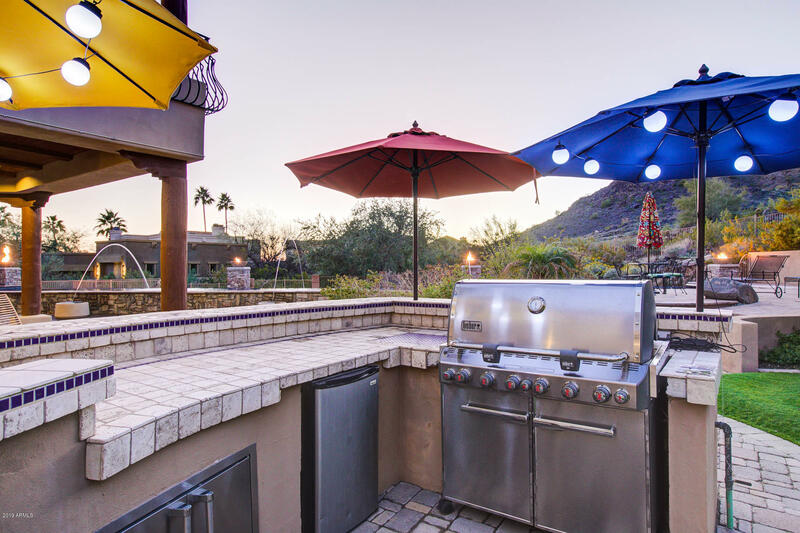 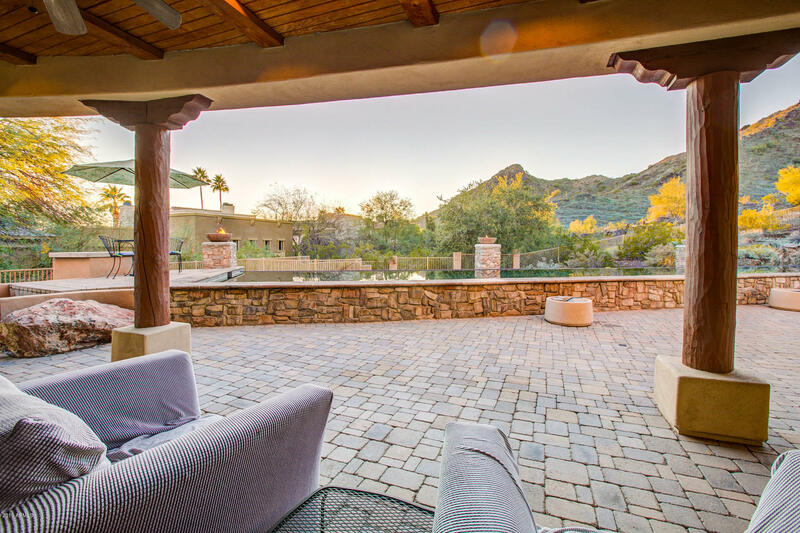 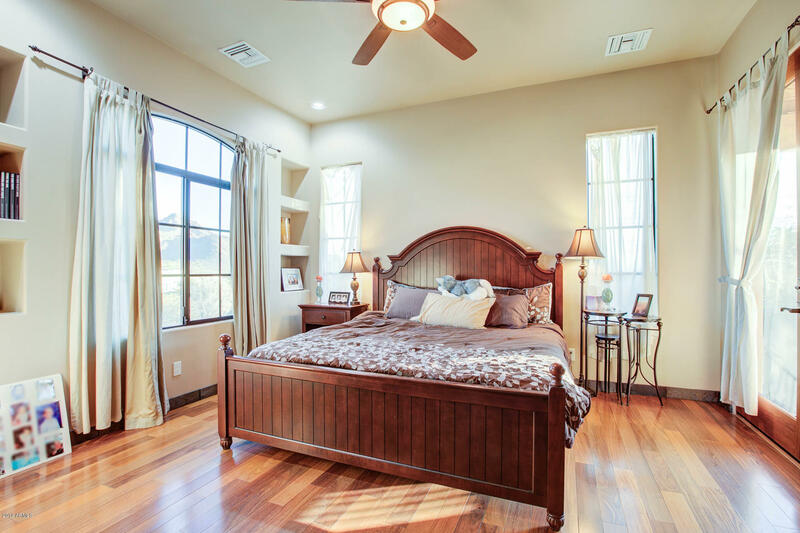 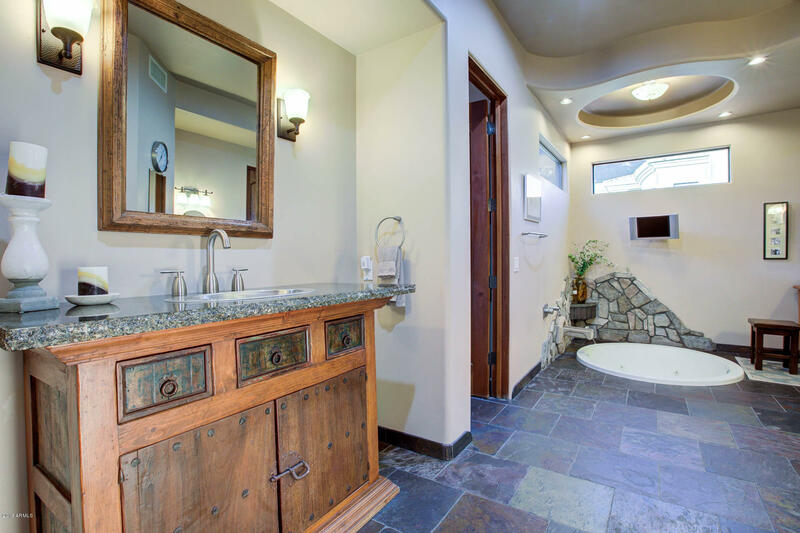 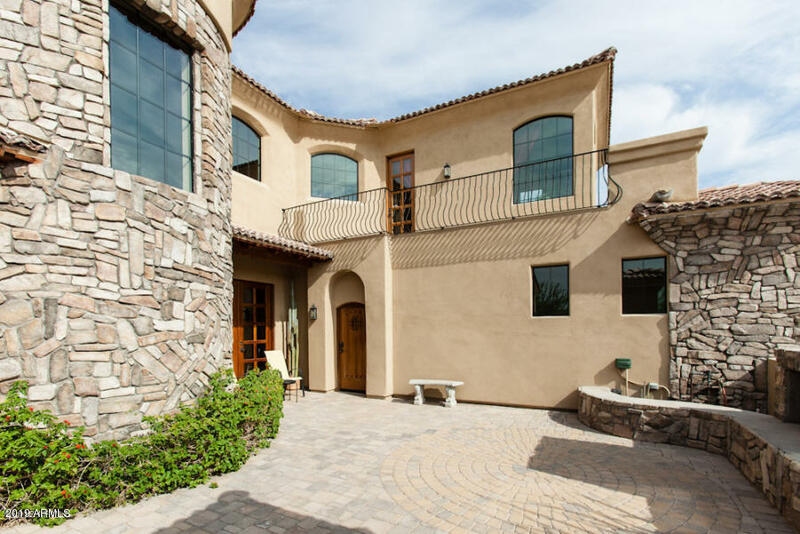 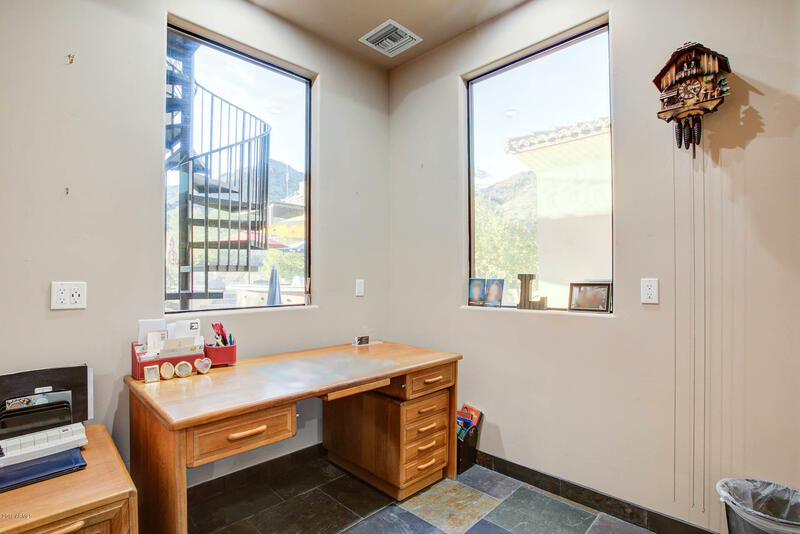 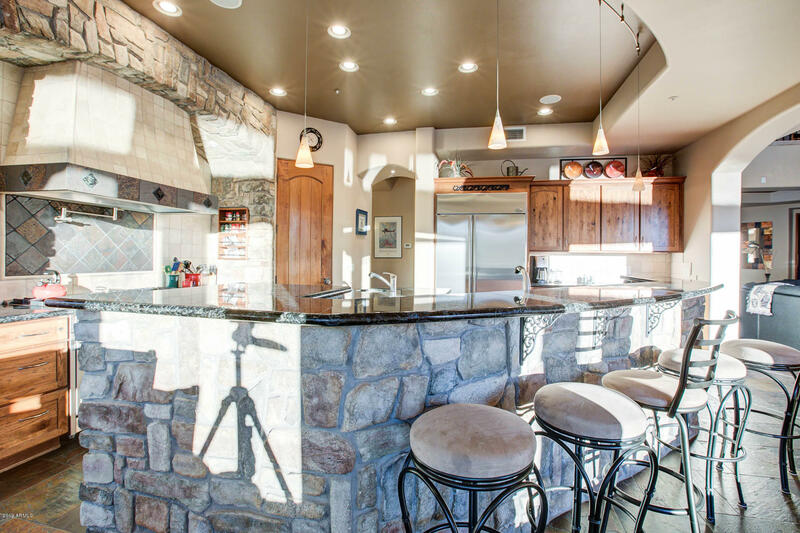 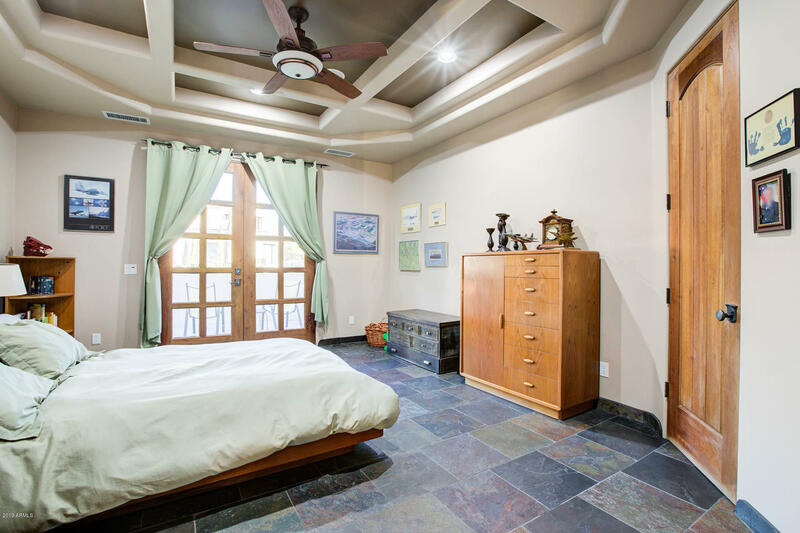 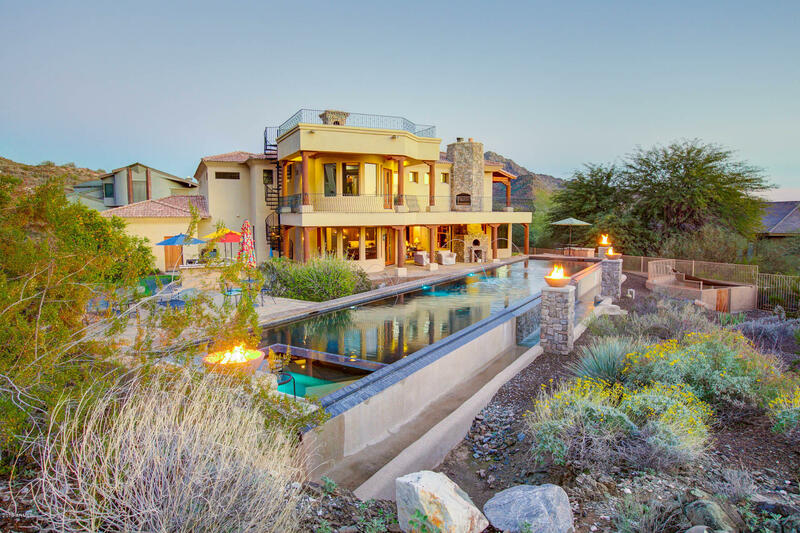 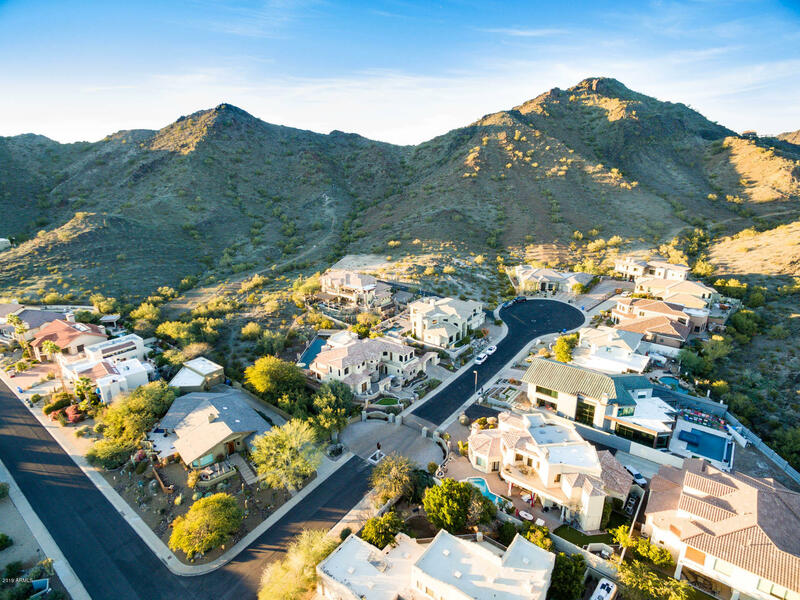 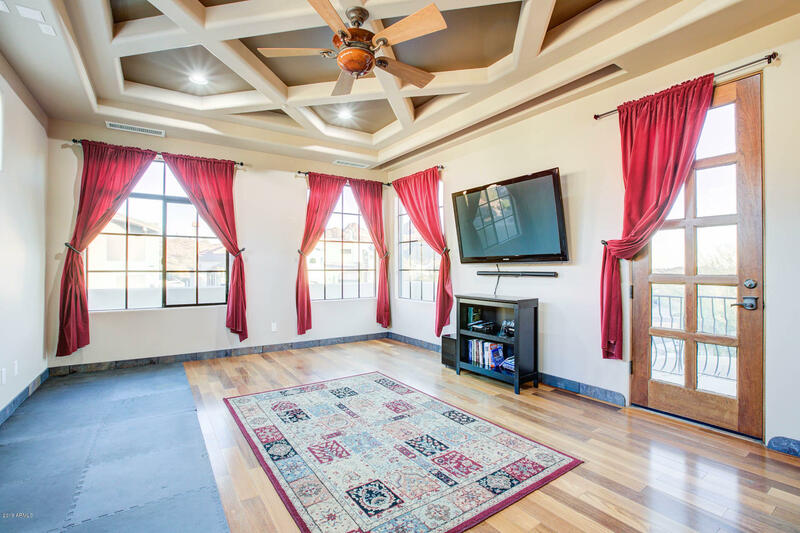 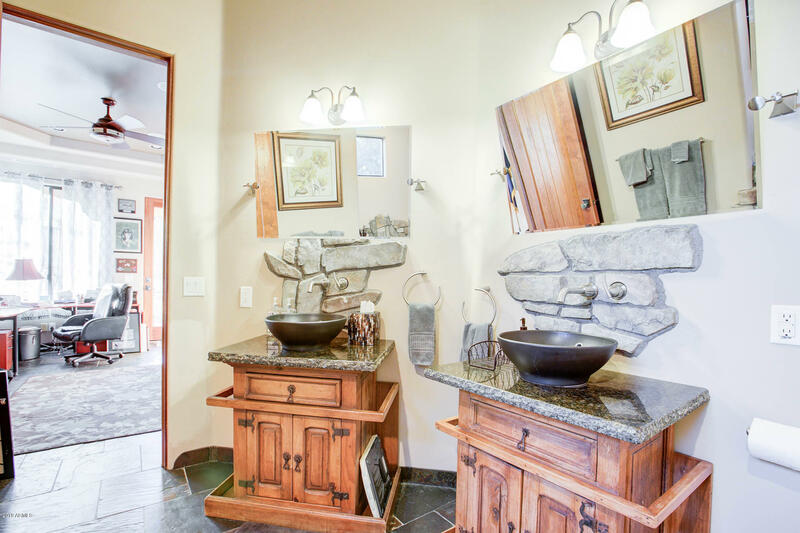 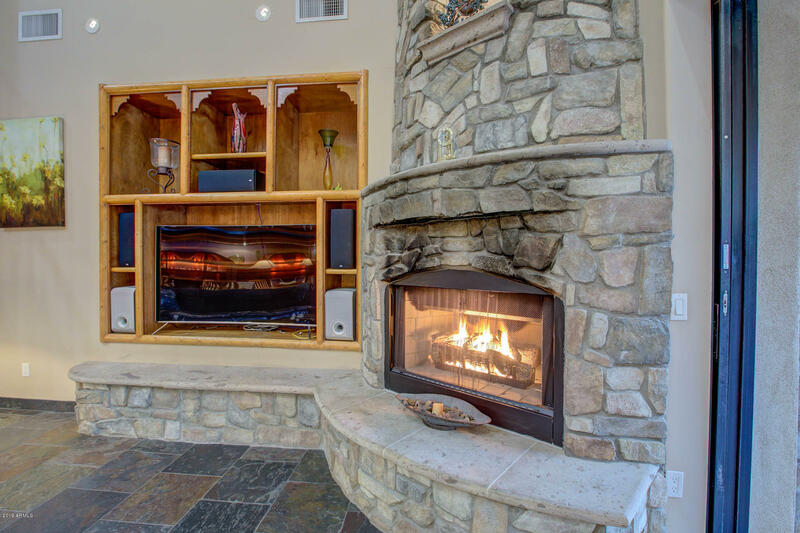 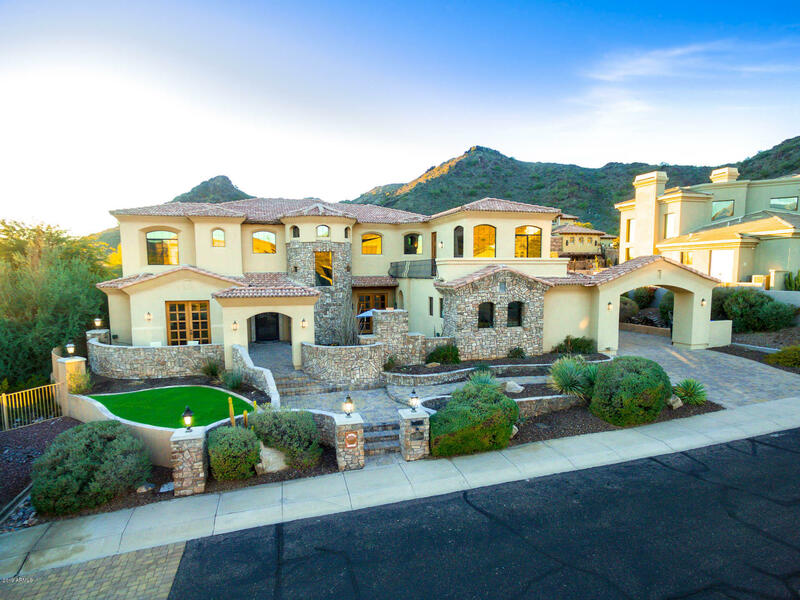 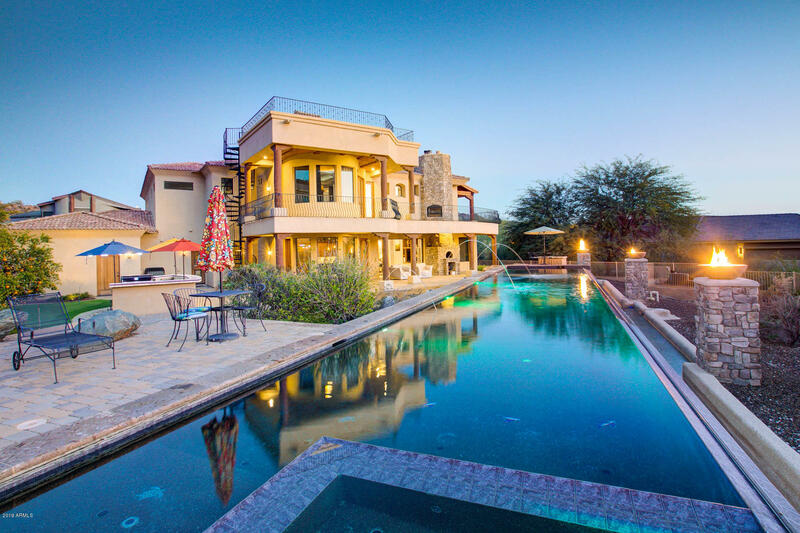 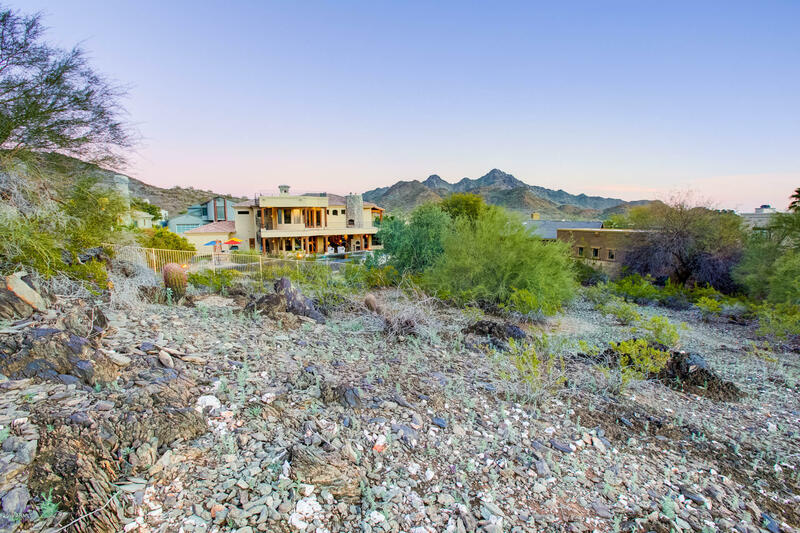 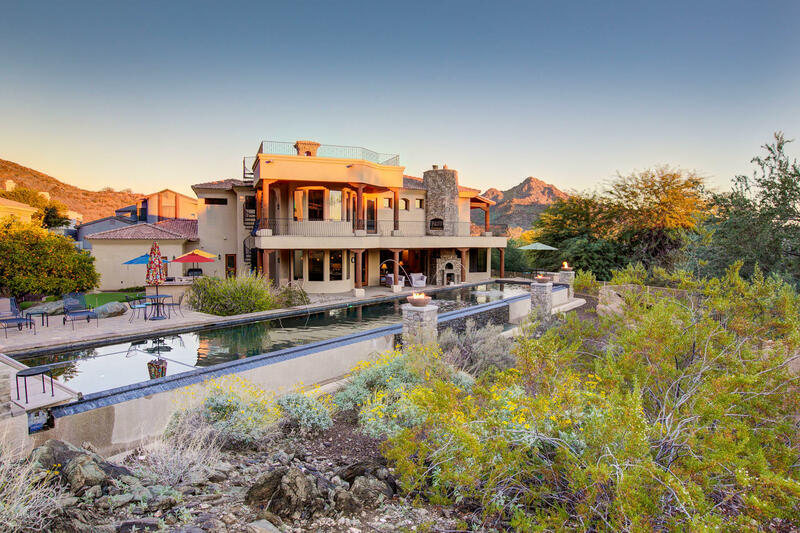 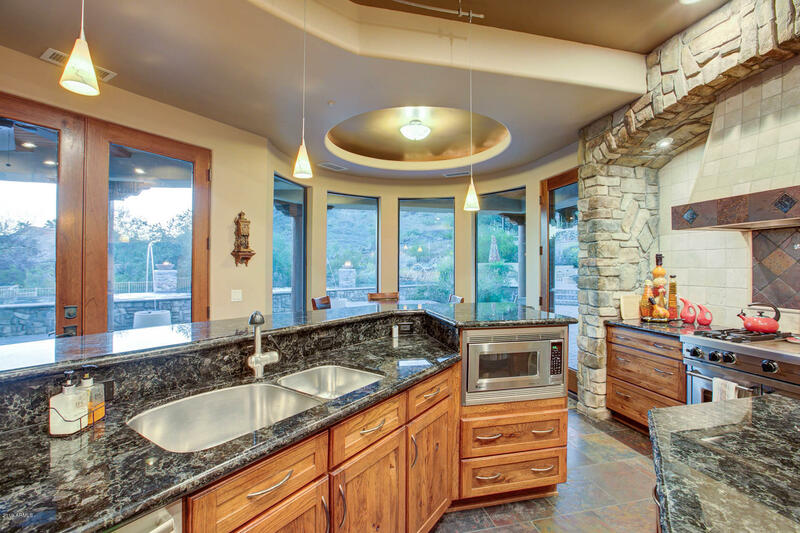 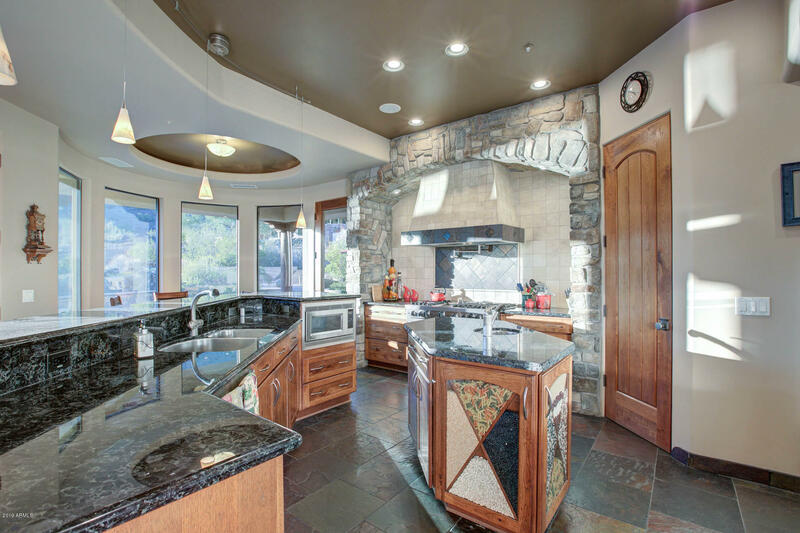 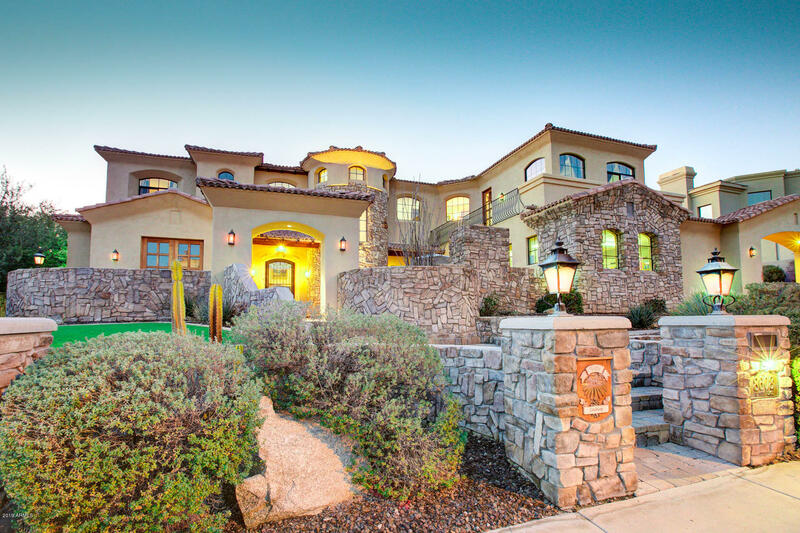 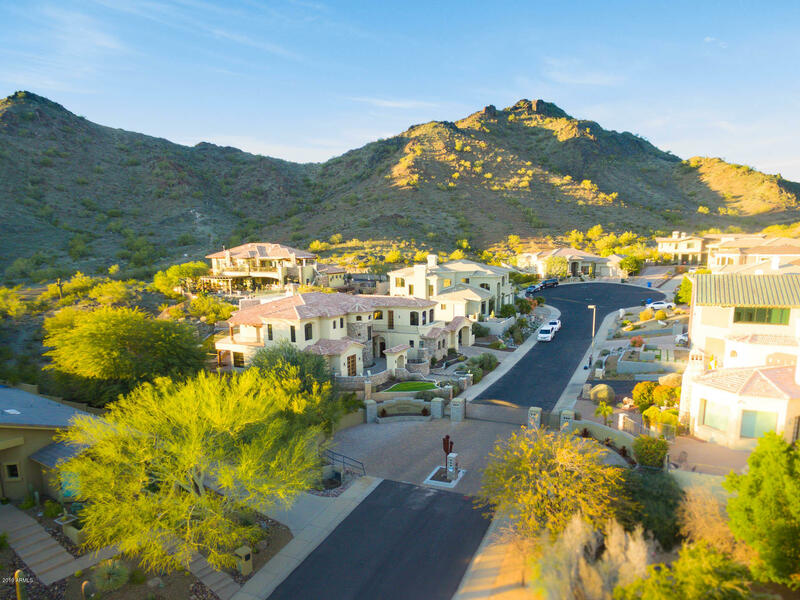 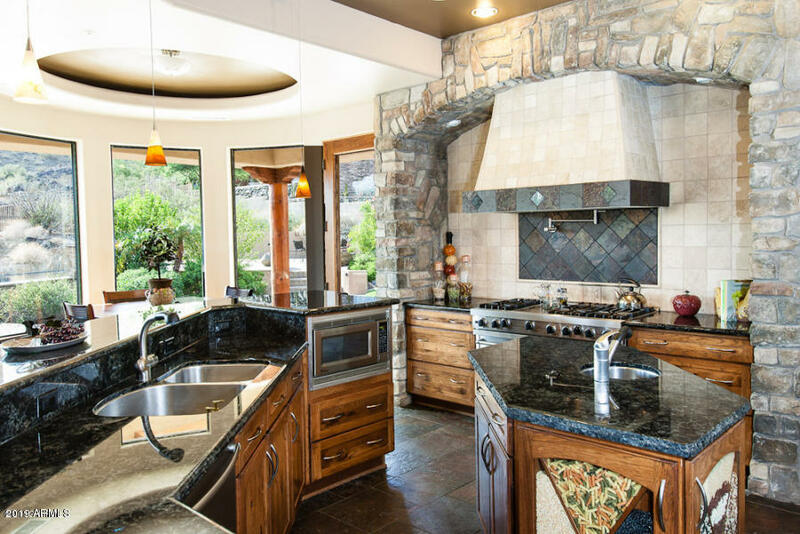 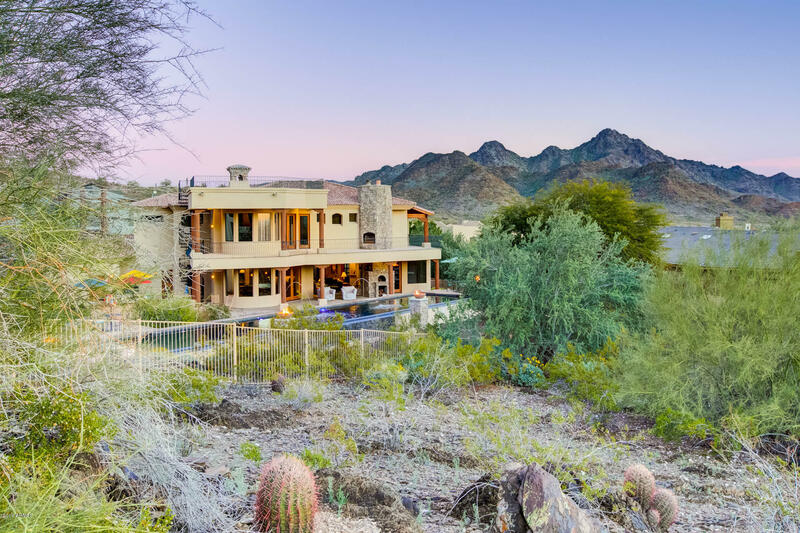 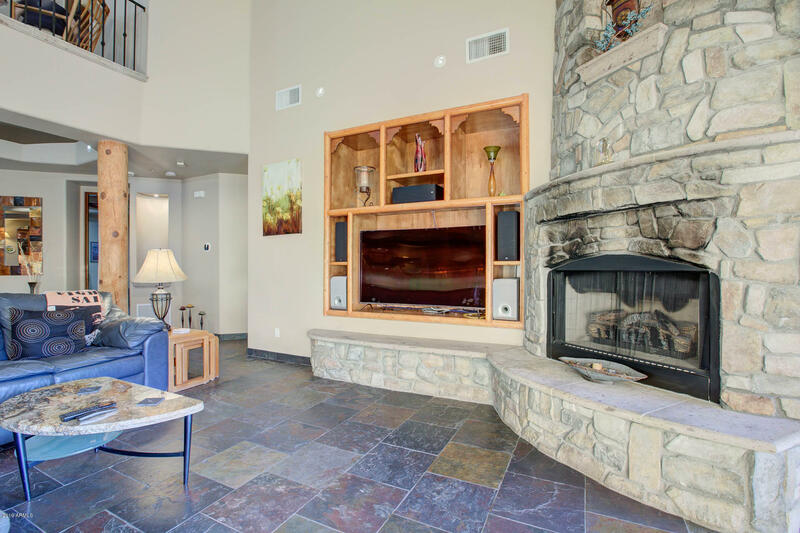 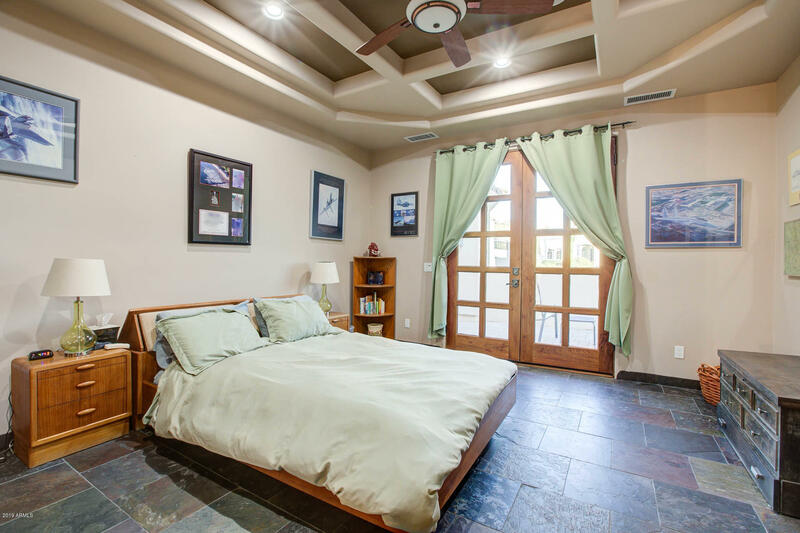 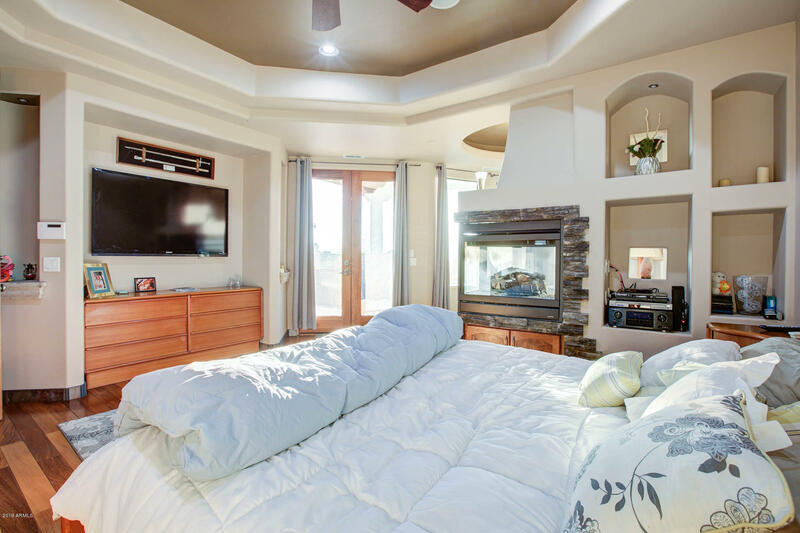 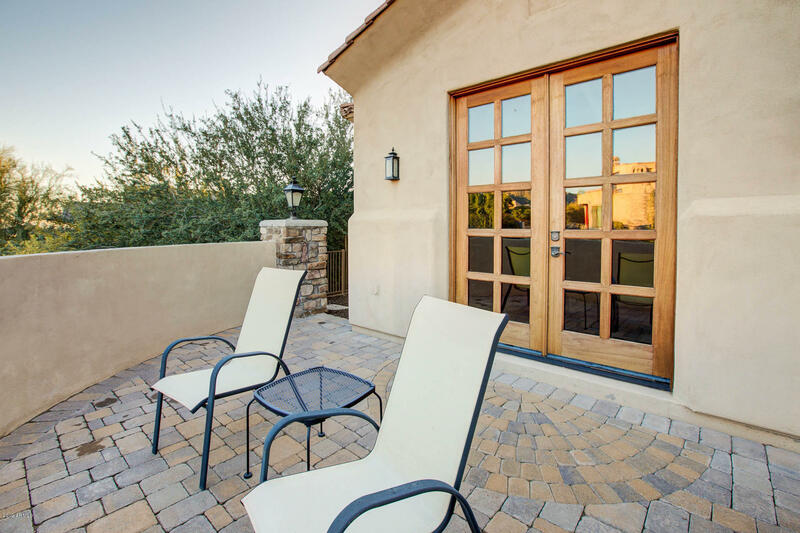 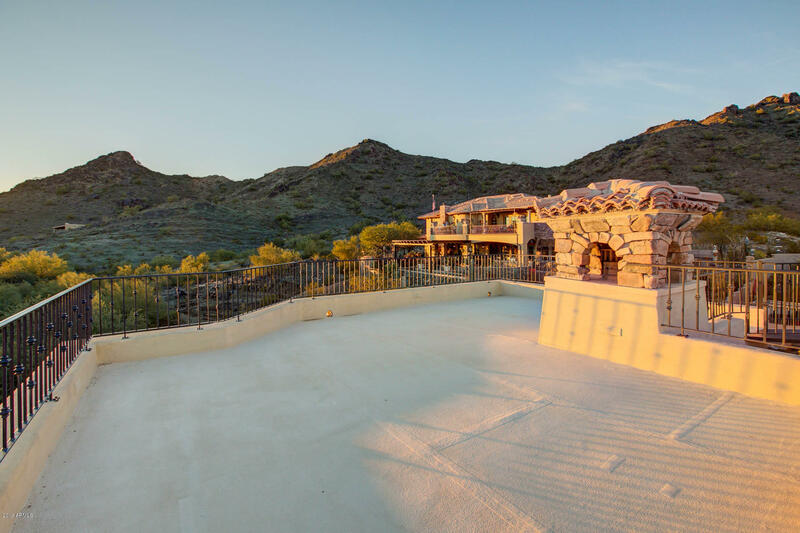 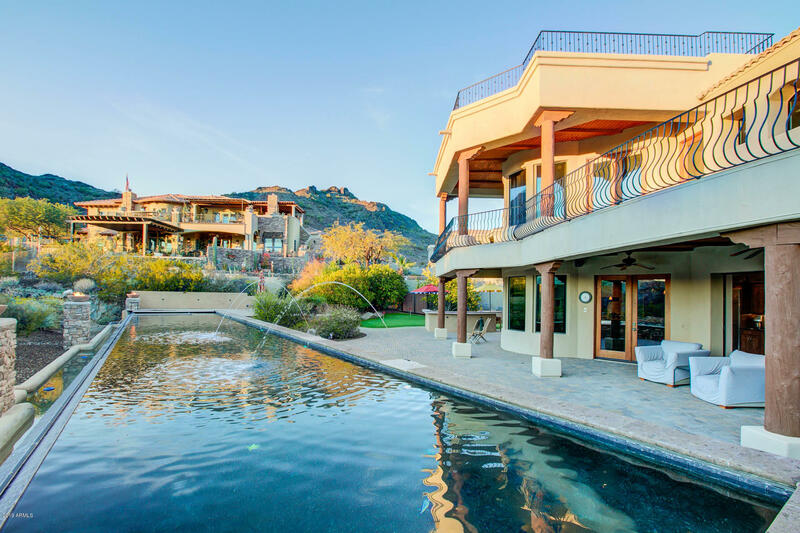 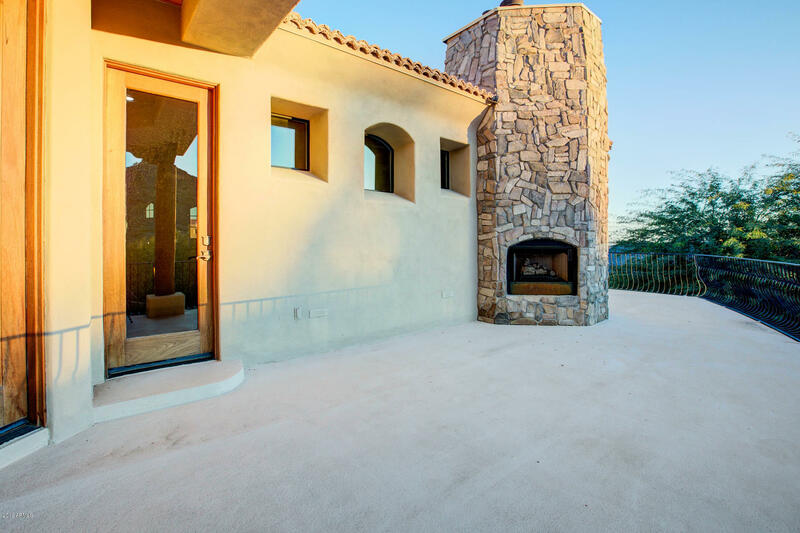 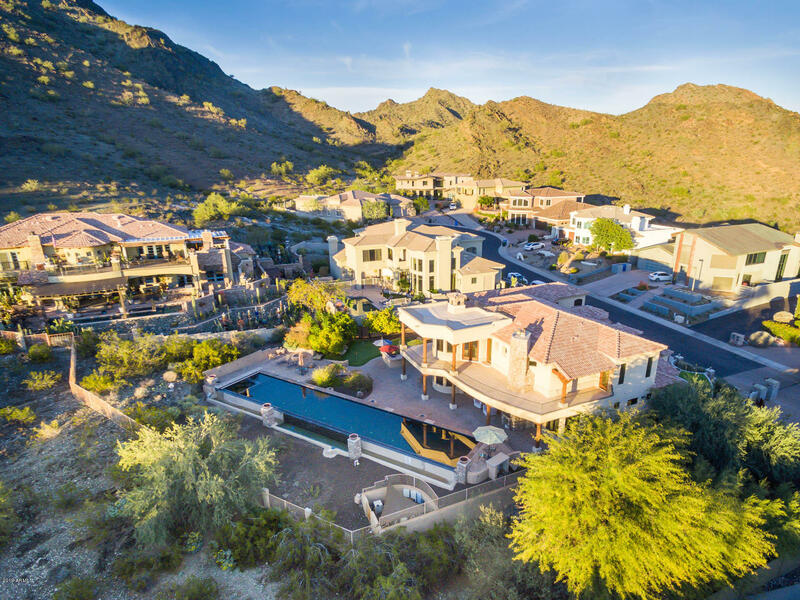 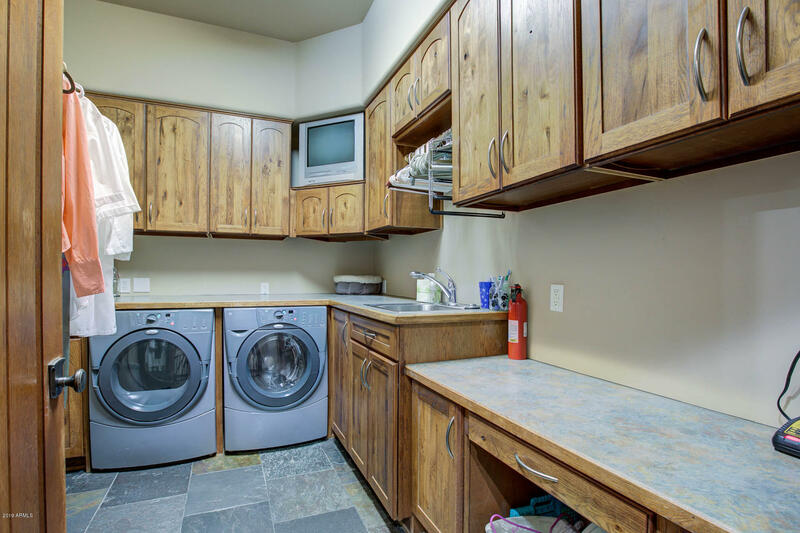 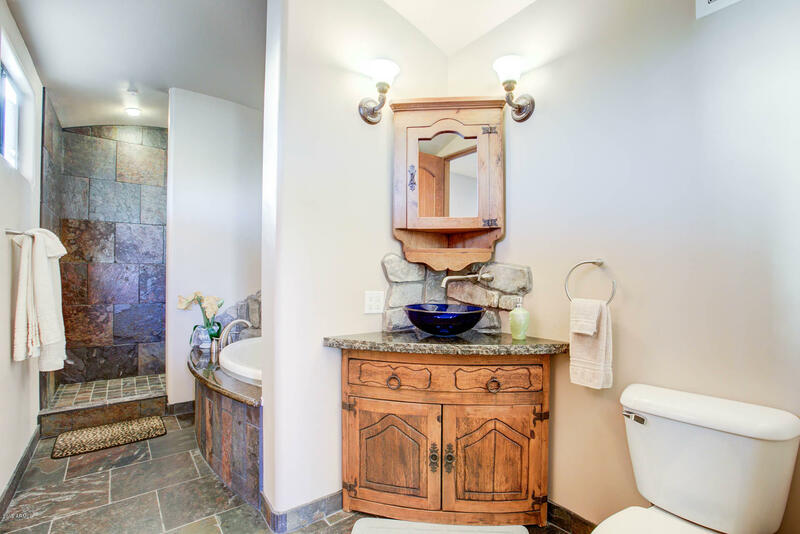 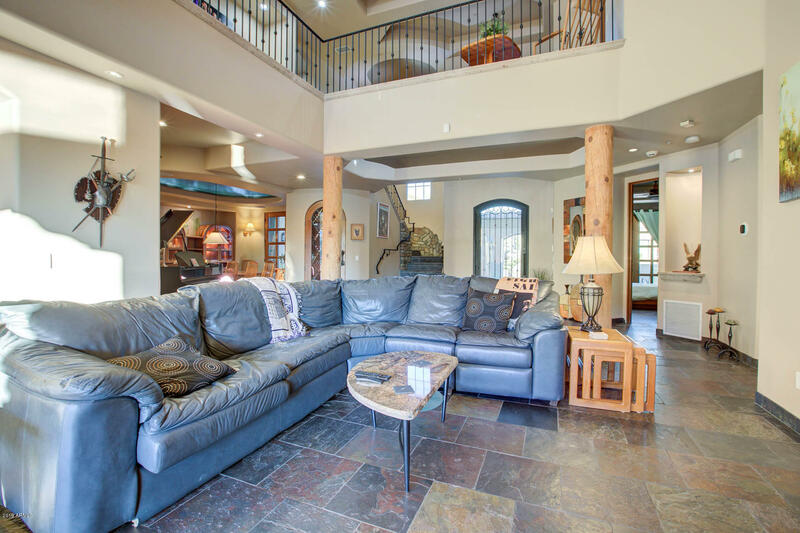 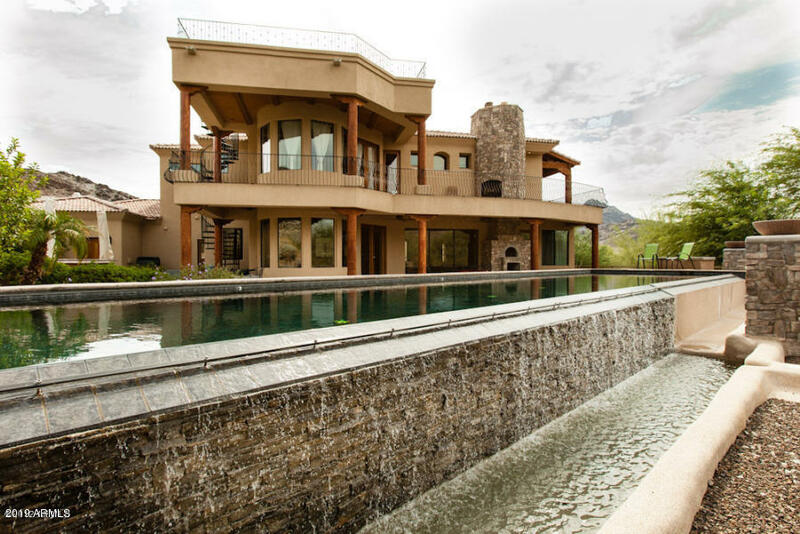 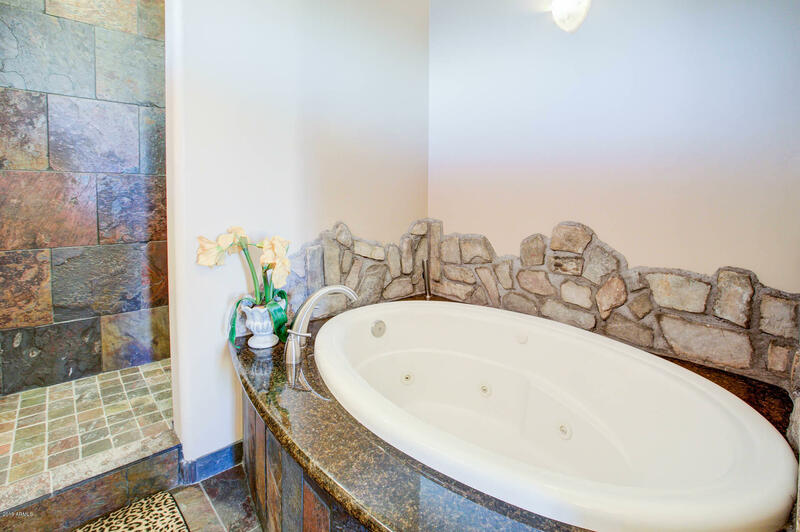 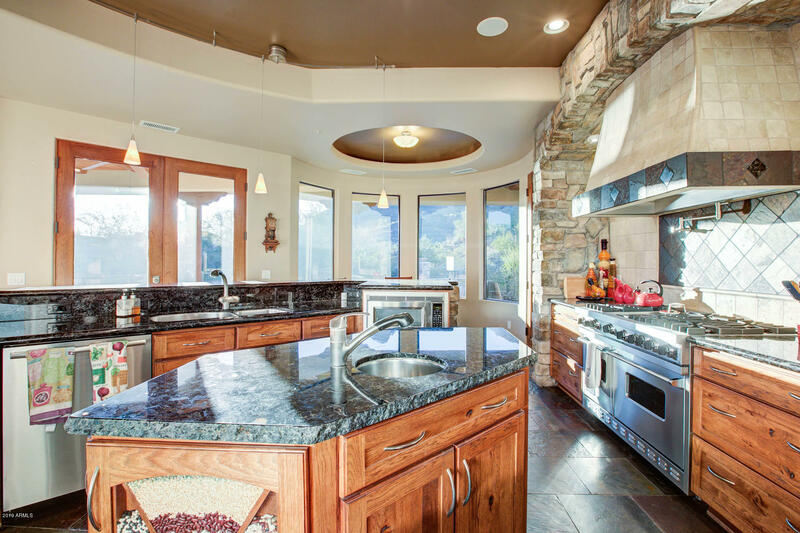 Nestled high on the mountainside of the Phoenix Mountain Preserve a stunning desert retreat awaits you. 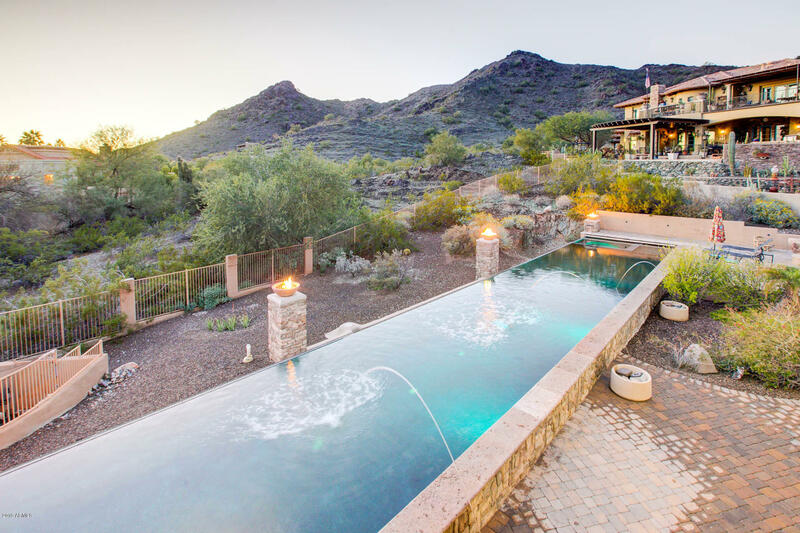 Every detail of the design was meticulously planned to maximize views of the beautiful surrounding preserve & the twinkling city lights below. 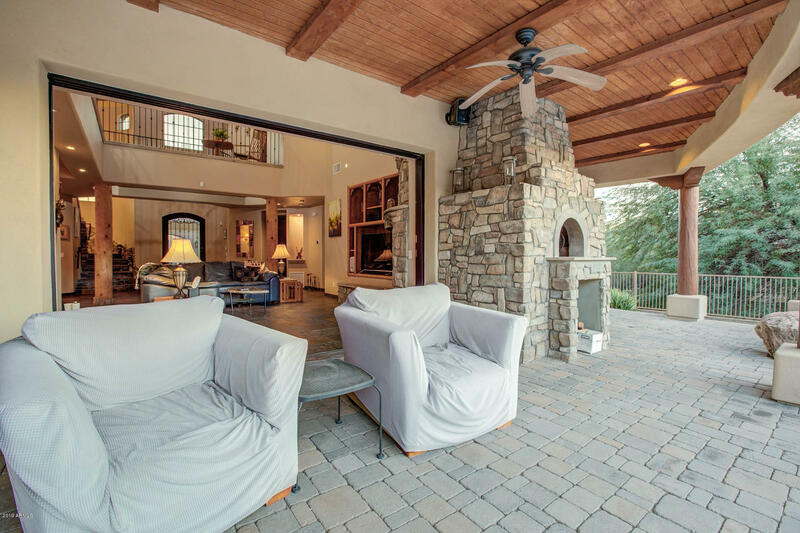 Three levels of patios & balconies provide multiple options for entertaining or private retreat. 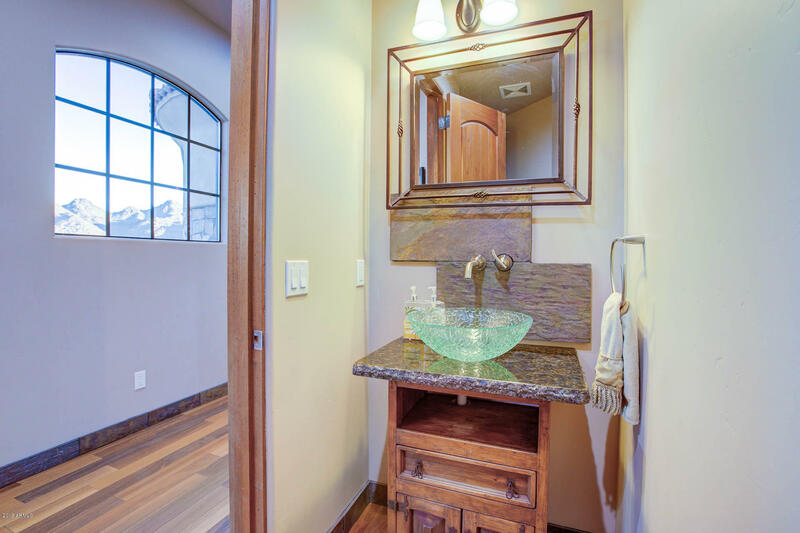 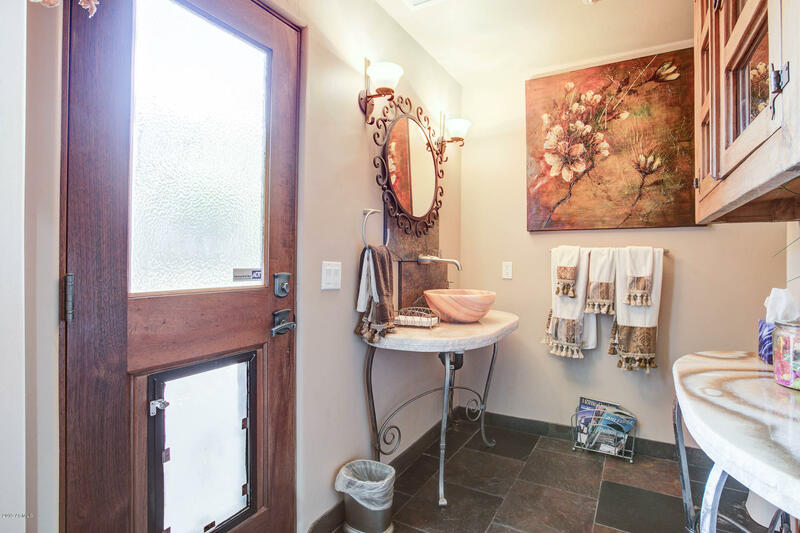 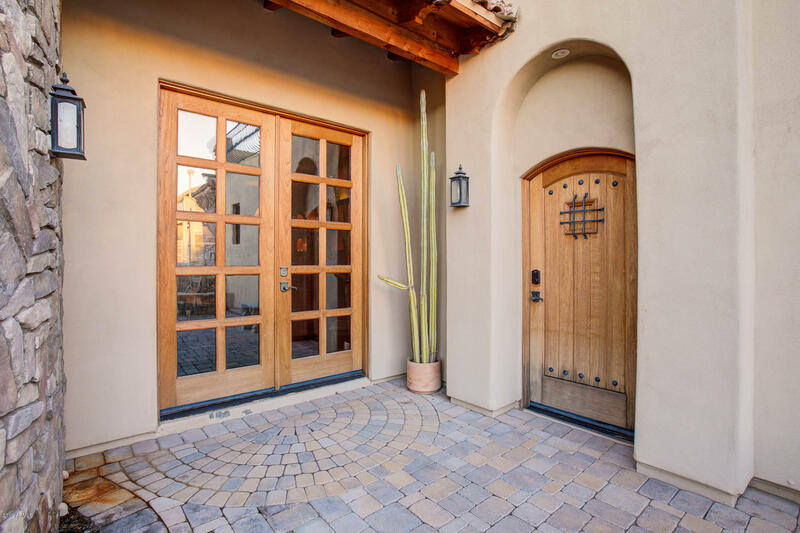 Each construction finish was thoughtfully and lovingly chosen and include imported slate from India, Brazilian Teakwood, and Bolivian Cedar Doors. 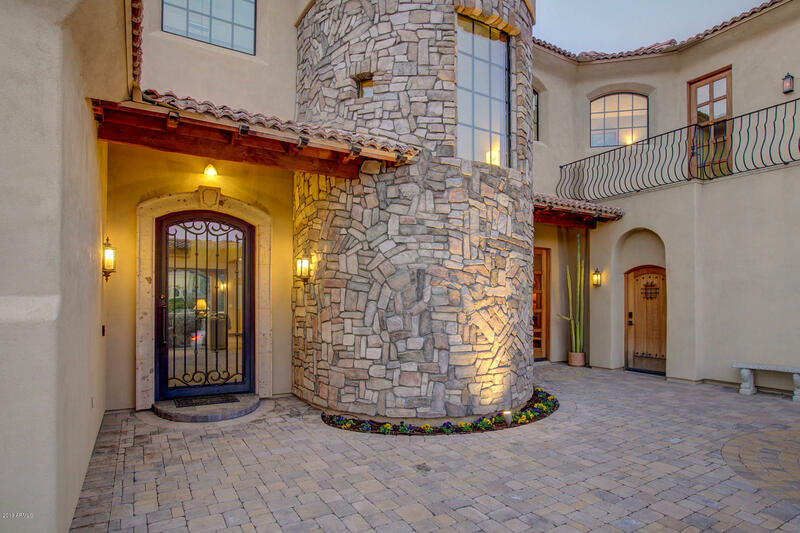 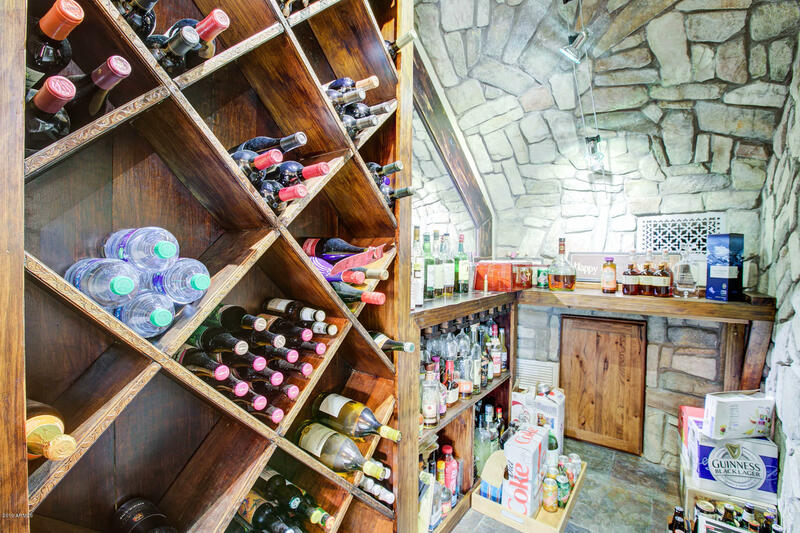 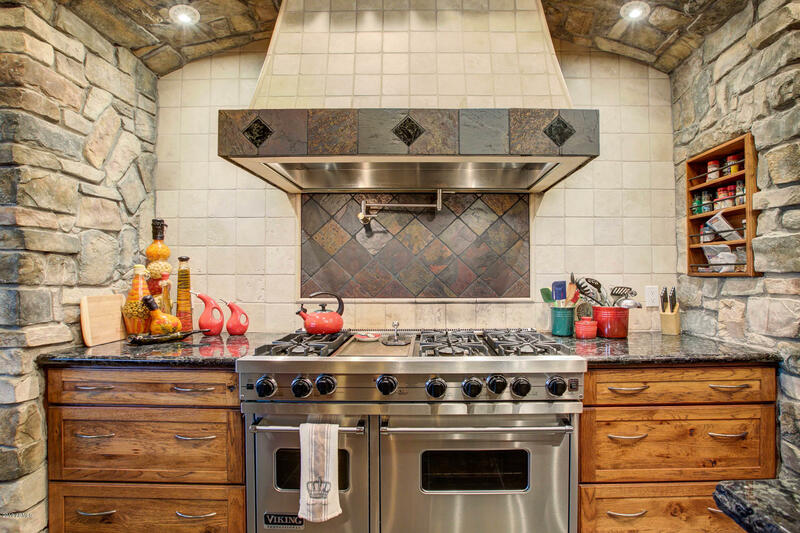 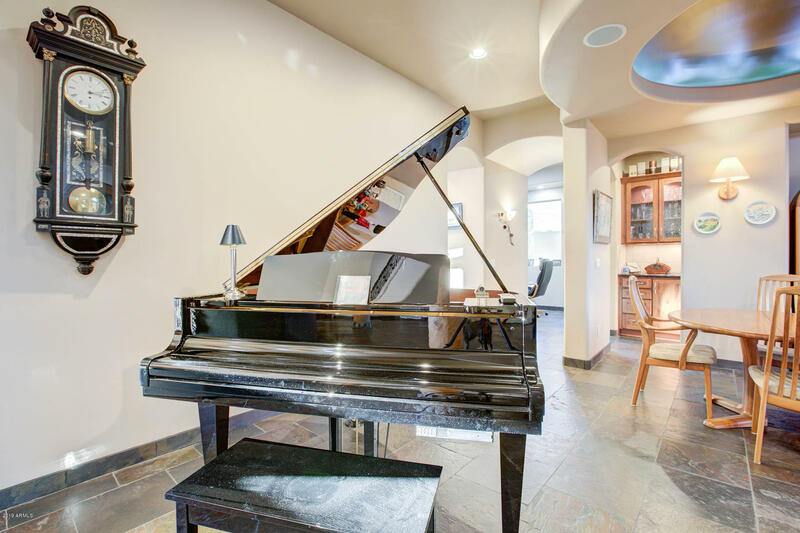 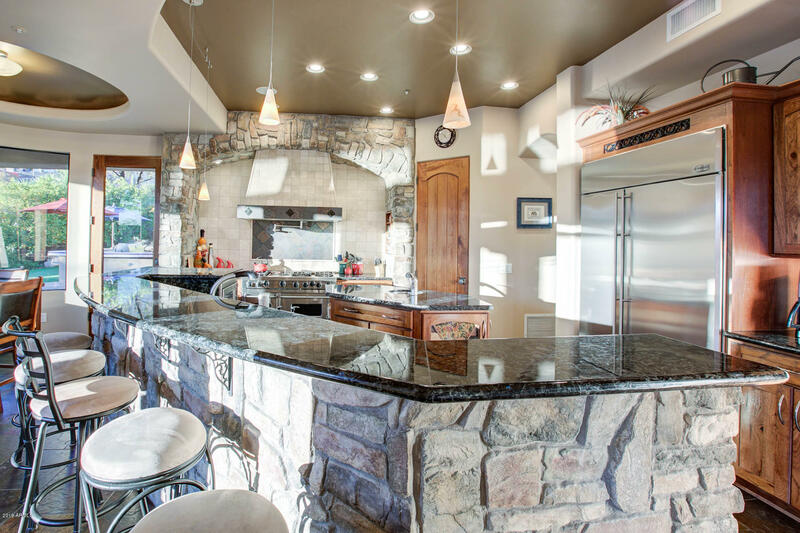 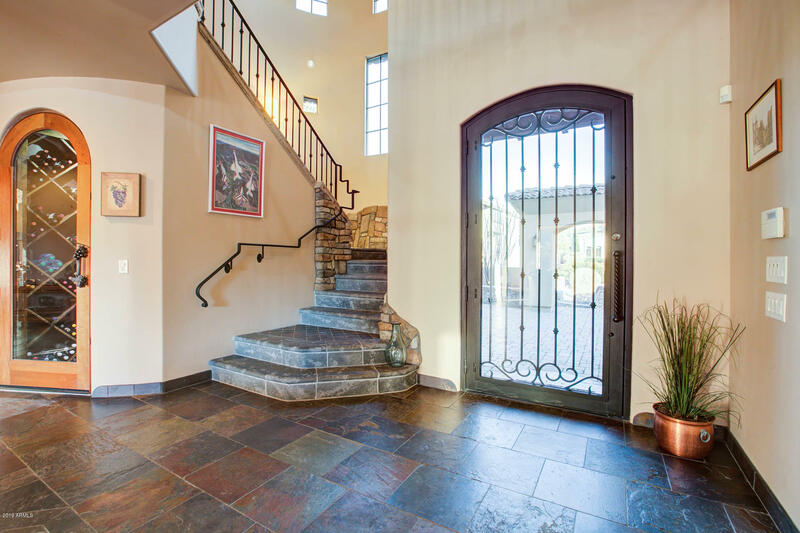 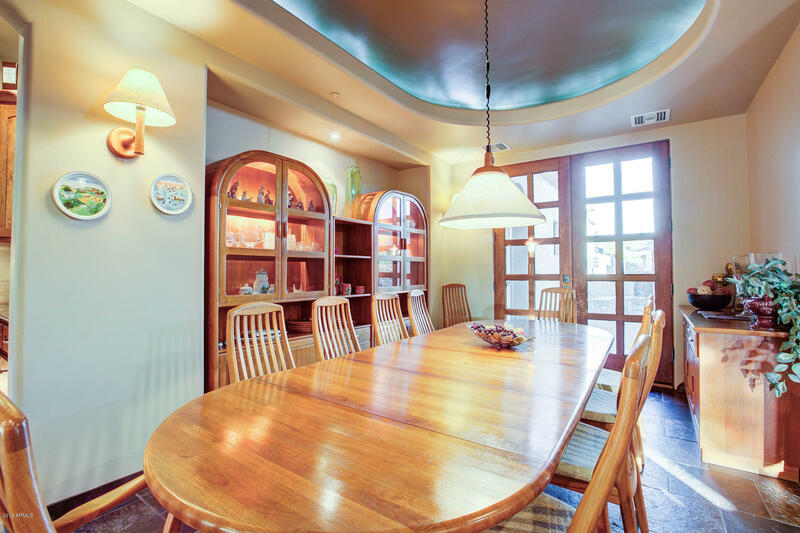 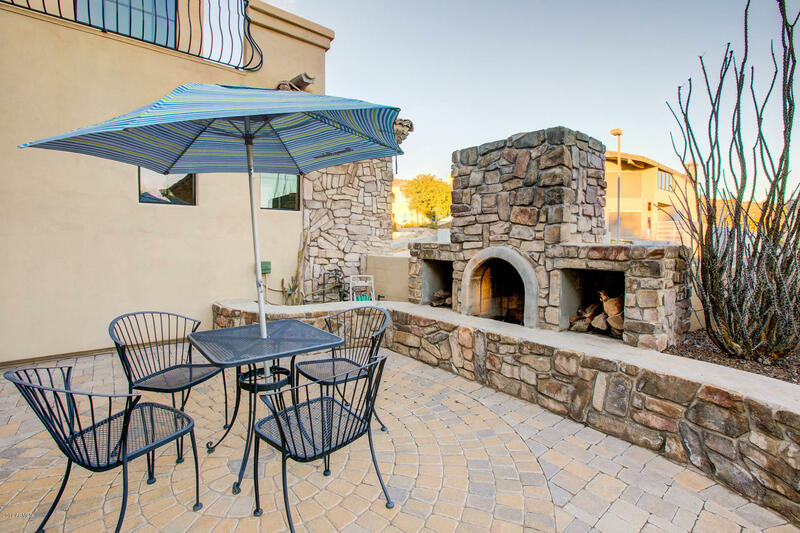 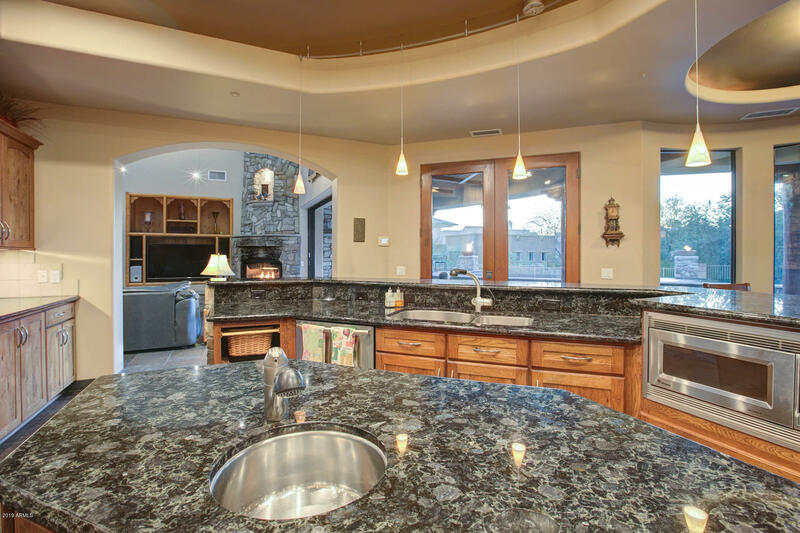 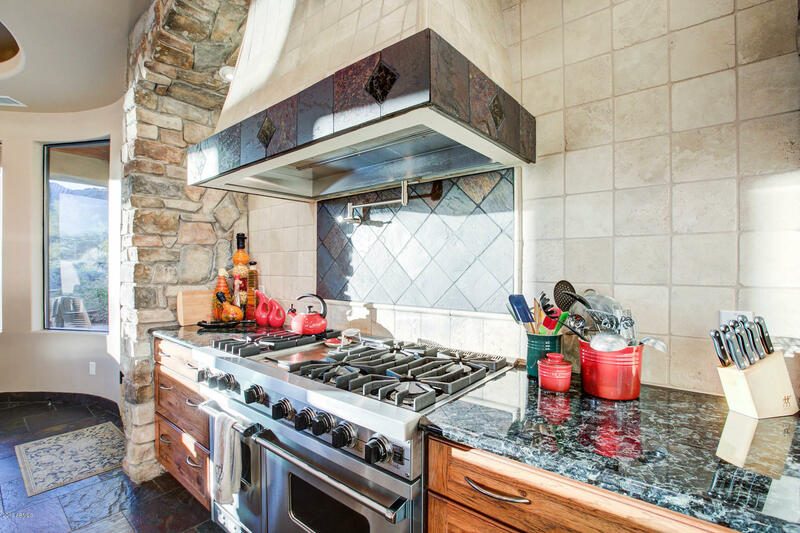 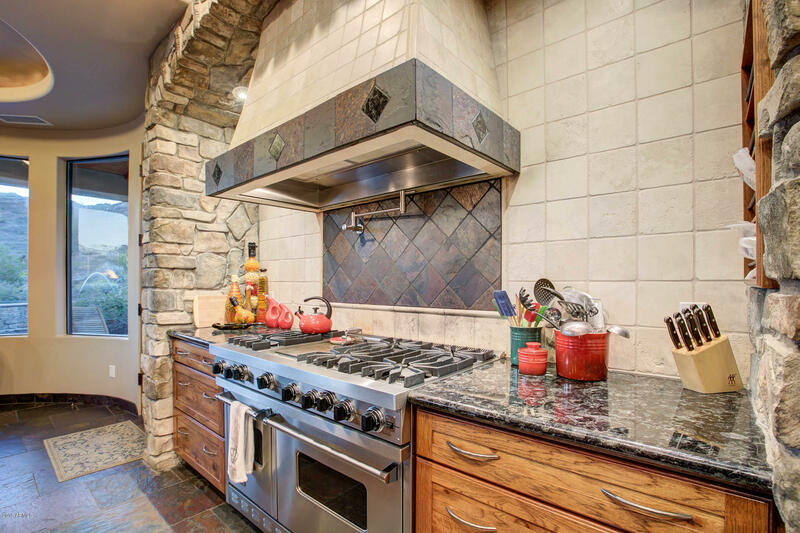 This home is an artful blend of Italian Tuscan and Santa Fe Ranch that create a luxurious and welcoming lifestyle for you--and--a stunning statement when entertaining. 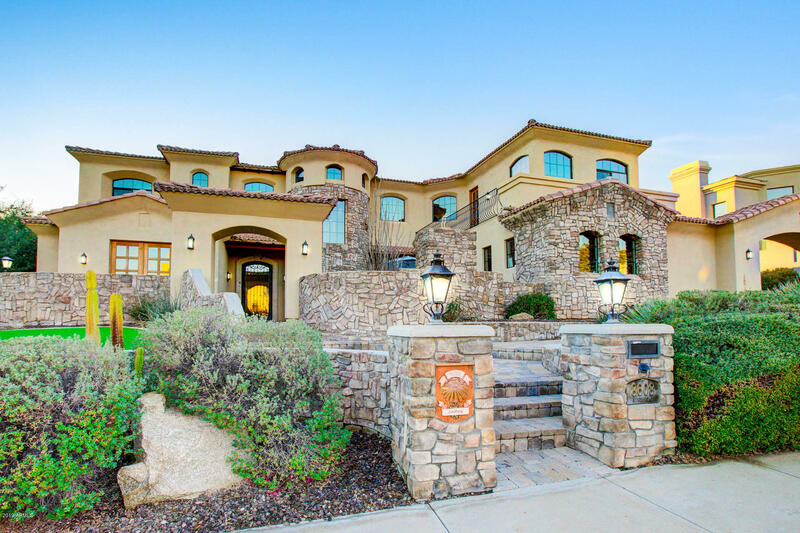 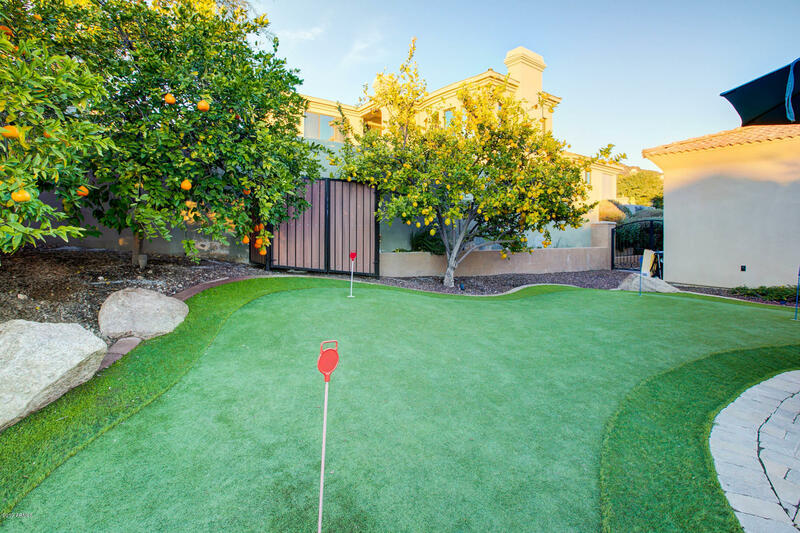 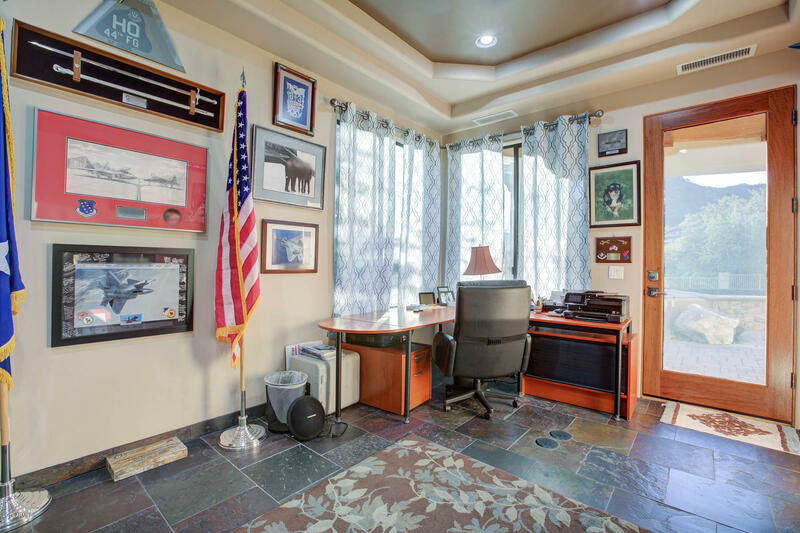 At 19,000 SF this home boasts the largest lot in the subdivision. 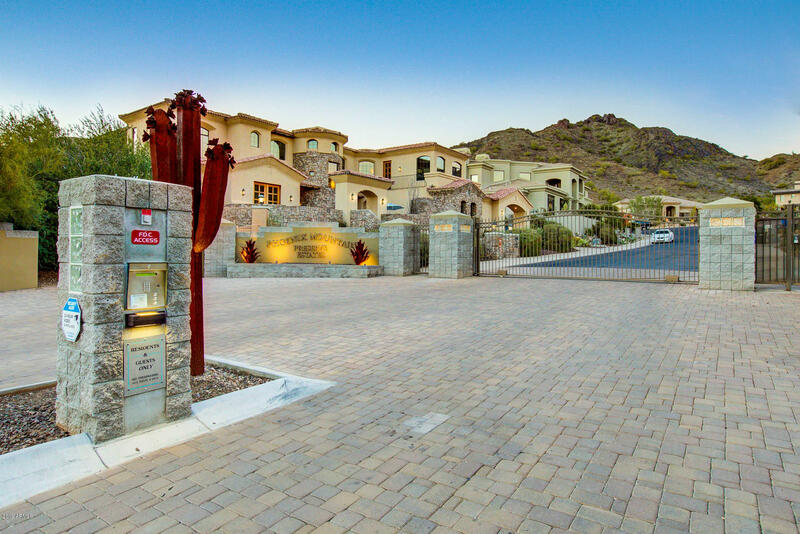 Driving through the gate you'll know you've arrived at someplace special.